BEIJING - China's former food and drug safety chief, facing execution for corruption amid a series of health scandals, has appealed against the death penalty, media said on Tuesday. 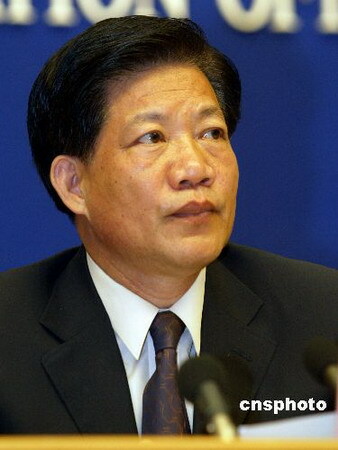 Zheng Xiaoyu, former head of the State Food and Drug Administration, was convicted in May on charges of taking bribes and dereliction of duty. It was an harsh sentence, reflecting the weight China is giving to the issues of corruption and food safety as they grapple with a series of safety breaches involving toxins in food and other products. A Beijing Intermediate People's Court imposed the death penalty on May 29 after convicting Zheng of taking bribes worth some 6.5 million yuan ($850,000) from eight companies. "Zheng said in the appeal statement that he had taken the initiative to confess and had a good attitude of admitting crimes, which deserved leniency," the Beijing Times said, quoting unidentified sources. Investigators found Zheng, 62, had lowered standards in renewing drug production licences, leading to manufacture of fake drugs in a system already plagued by corruption and regulatory loopholes. It was the first time China had sentenced an official of Zheng's rank to death since 2000. A Chinese Foreign Ministry spokeswoman said it reflected the government's "determination to fight corruption". The Beijing High People's Court, which is supposed to hear appeal cases from the intermediate court, had no immediate comment. Under Zheng's watch, dozens died in China from fake or bad drugs and food products. In one of the most notorious cases, in 2004, at least 13 babies died of malnutrition in Anhui province after being fed fake milk powder with no nutritional value.